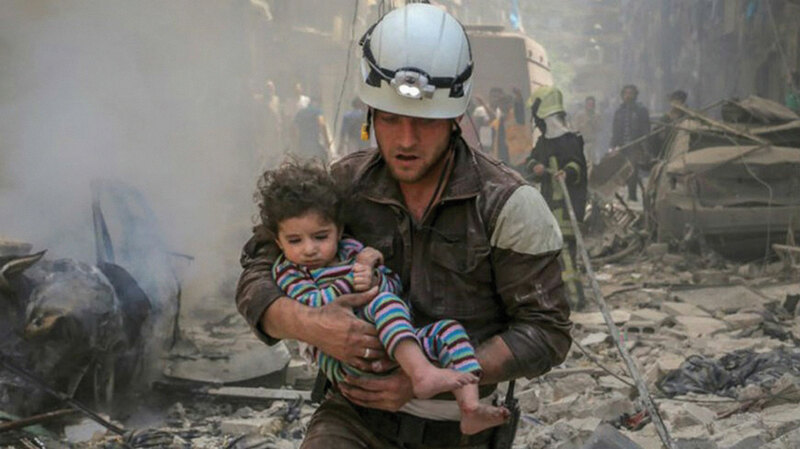 The "White Helmets," a self-styled civil defense force, are often the first and only rescuers on the front lines in Syria’s ongoing brutal civil war. They have saved more than 18,000 lives and have been nominated for the Nobel Peace Prize. Oscar-nominated© filmmakers Orlando von Einsiedel and Joanna Natasegara’s short documentary dives into the rubble with these everyday heroes, showing stories of compassion and bravery alongside devastating footage from the war zones. The screening is followed by a panel discussion with UCLA Professor of History James Gelvin.